Alright guys, it is time to do some crafting! Although in my world it is always time to craft. Some people need a glass of wine or a good meal… I need crafts… and music. I usually rock out loudly to music, sing really loud and craft when I need some “me” time. 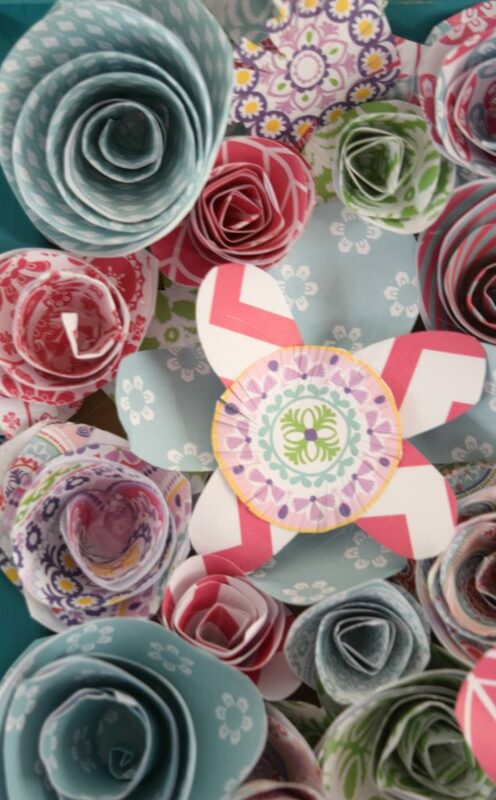 My me time has turned into a way my whole family can benefit from, like today and the craft I am sharing, How to make wall art using paper flowers. Nora is the benefit of this project, this is going in her bedroom. She has requested a gallery wall and I aim to please! 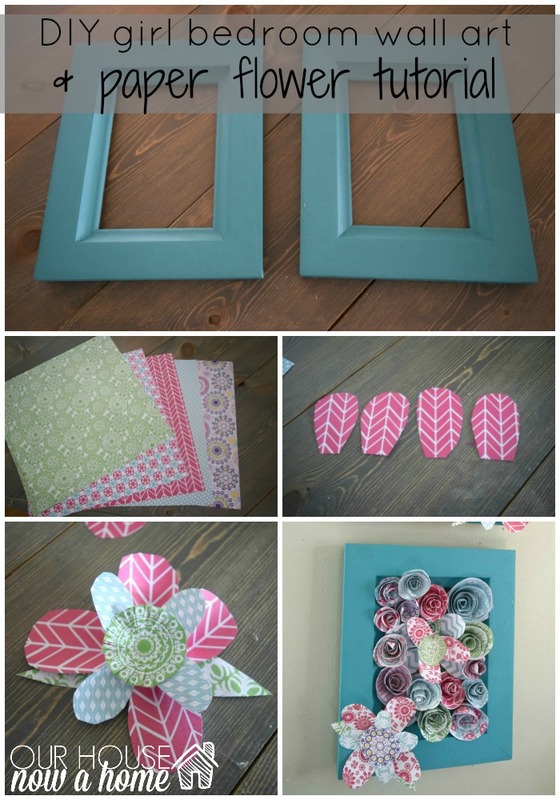 This is part of the Ready, set, craft challenge! Myself and 4 other blogging friends, Gav & Ro, Amber Oliver, XO Kerry and the newest member to this challenge, Lugi Mom blog are all of the ladies behind this challenge. 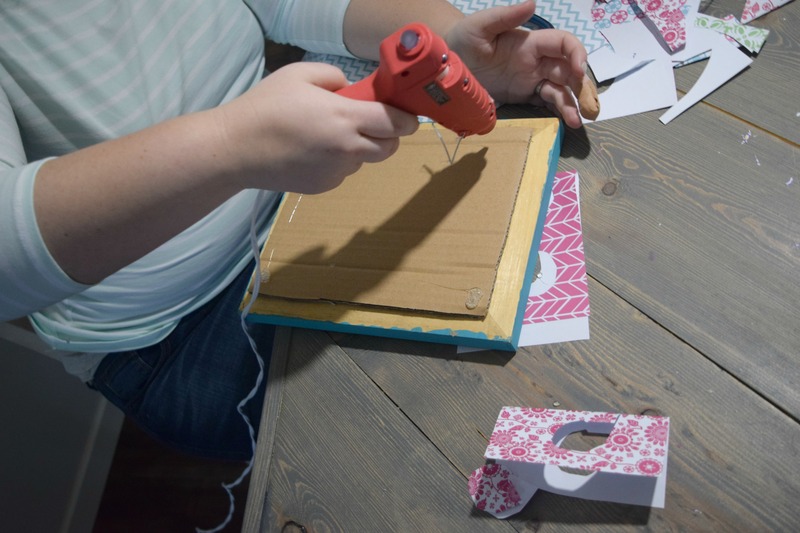 Each month we pick a new item to work with and we get to crafting. This month is is all about paper! 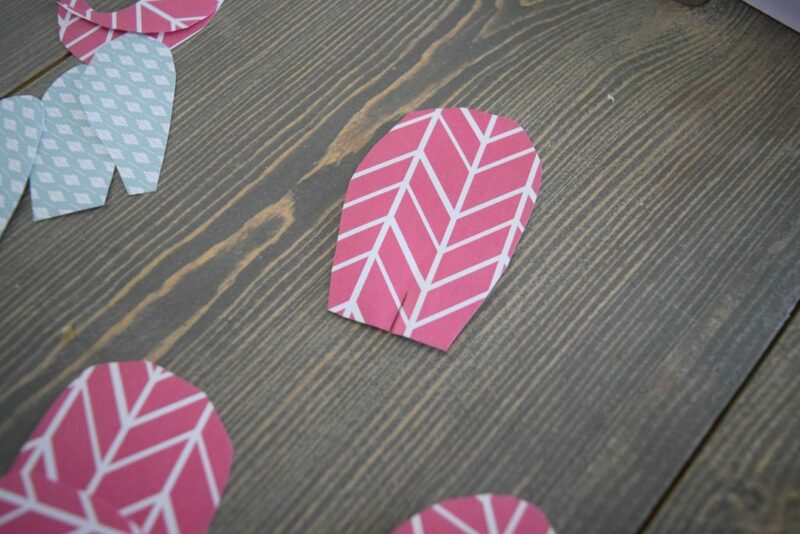 I recently shared a bunch of my simple ways I use paper in my home, with a ton of my examples. You would think I am all paper crafted out, but you would be wrong! I can use paper for home decor all day! In fact, I have a paper craft special. Let’s call it “The Our house now a home flowers”… or you know… paper flowers. Either way works! 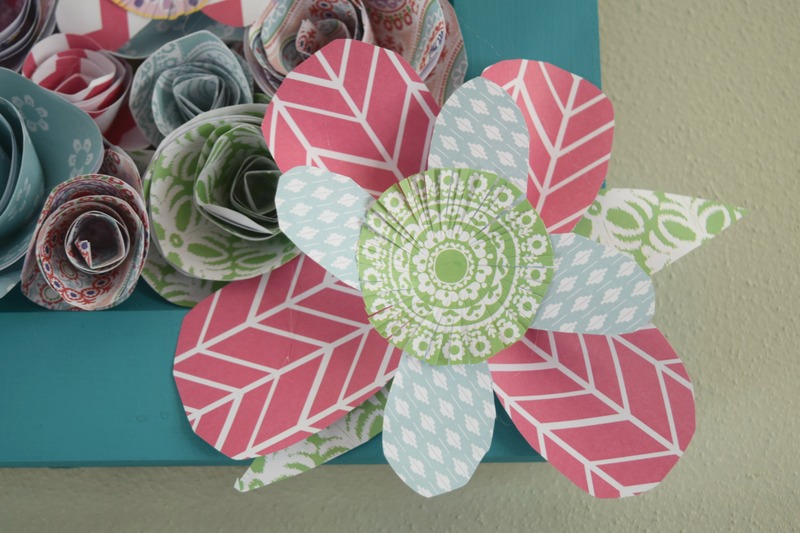 I shared a video tutorial on how to make these adorable flowers. 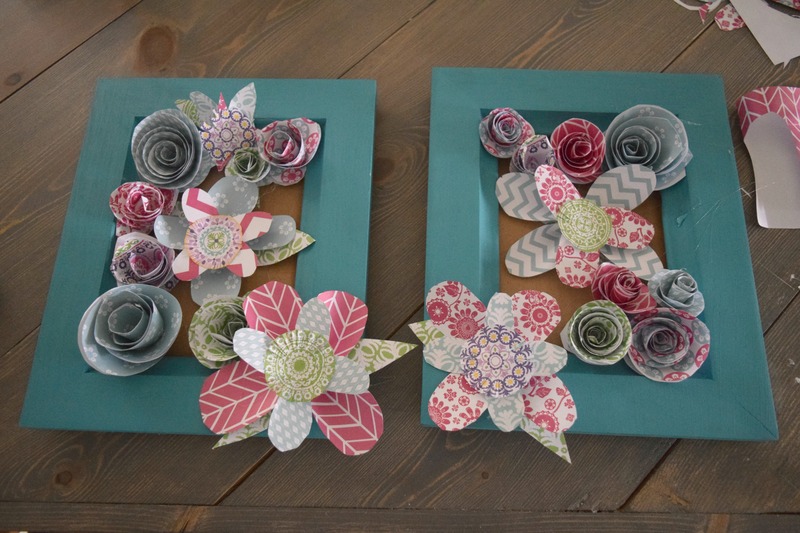 Which Nora wanted me to use in her room, she did not care that I had a home decor challenge and I wanted to make different flowers. She insisted. So I came up with a few compromises, I would make these as well as some new kinds of flowers. She relented as long as I let her work with me on making these. 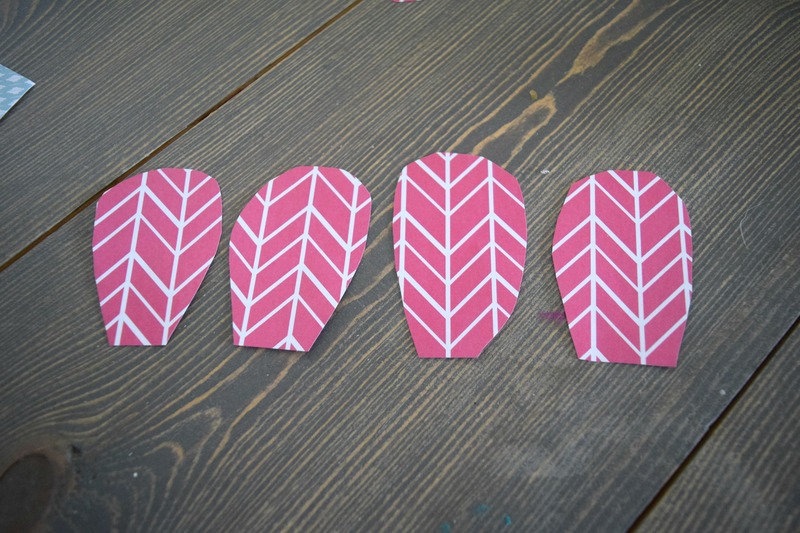 Yes, these are a kid friendly craft! In order to make this whole thing work, and make Nora a happy girl in for her bedroom I need to make wall art for her gallery wall. 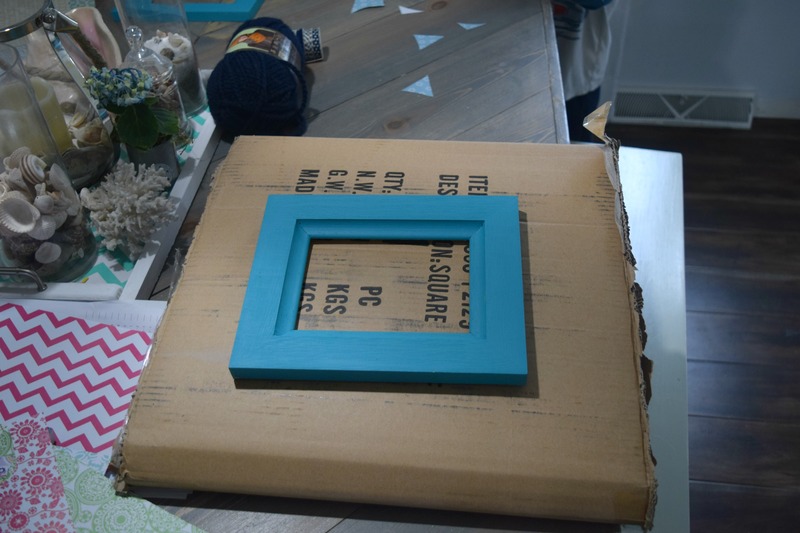 This project today is one of many I will be sharing to complete her gallery wall dreams. I found these frames, with no back or hangers at Goodwill, purchased them for 25 cents a frame! I painted them a deep teal. 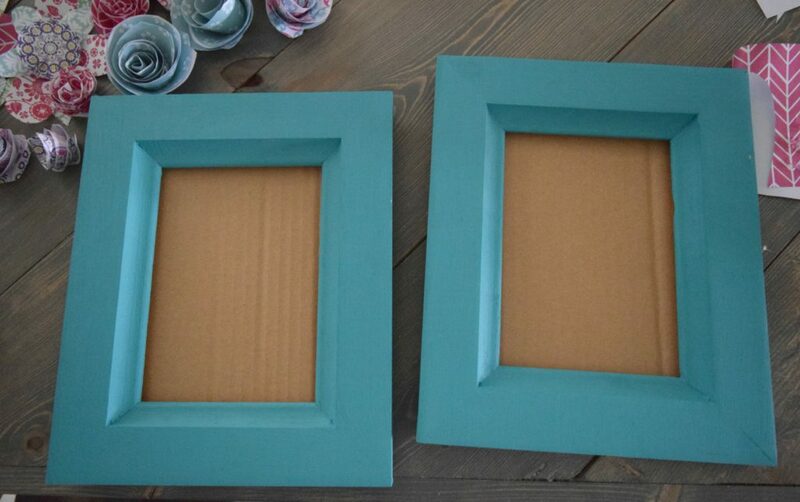 True story, I asked Nora what color she wanted the frames to be and she insisted on teal. She is soooo my daughter. 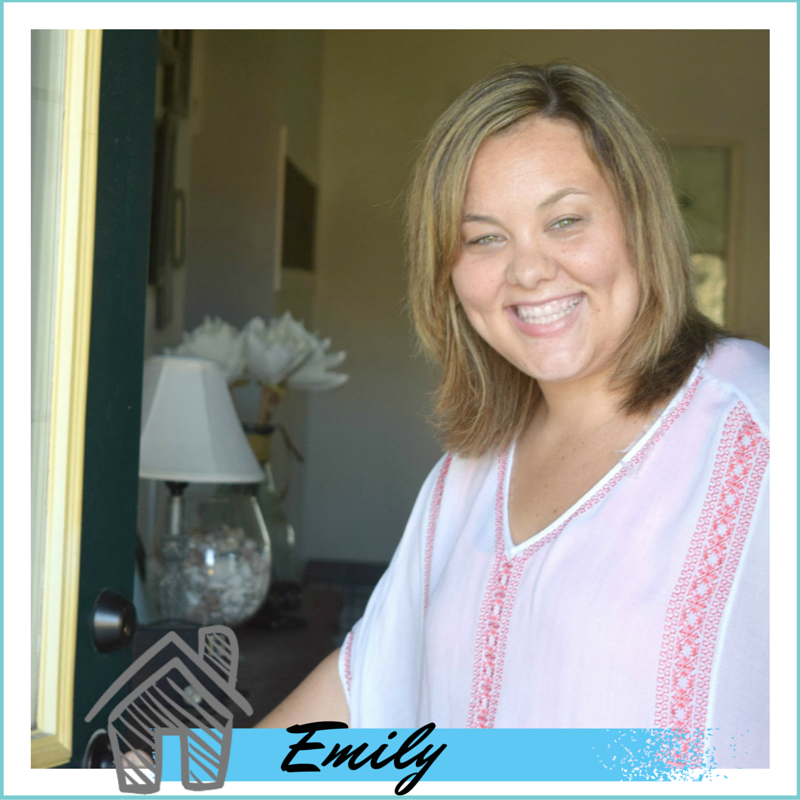 Her bedroom has a light green and hot pink theme going on with a few tiny elements of teal. I guess we are adding more teal to the mix. Which I cannot blame her one bit, I am pretty obsessed with the color myself. 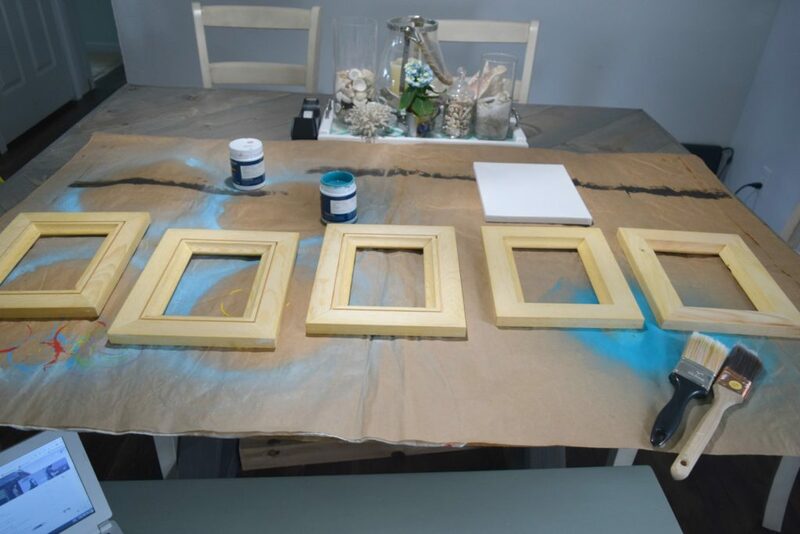 The other three frames I purchased had a bit of a challenge in painting the details and I will be sharing all of that crafty goodness in a later post. 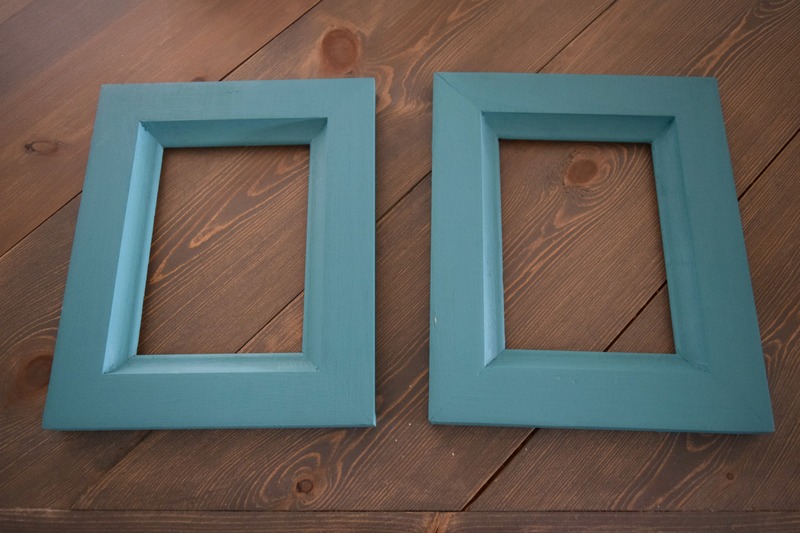 Once the frames were painted, I knew I needed to add a back to them. Now, I know I am shocking you with my professional ideas here, so fancy! 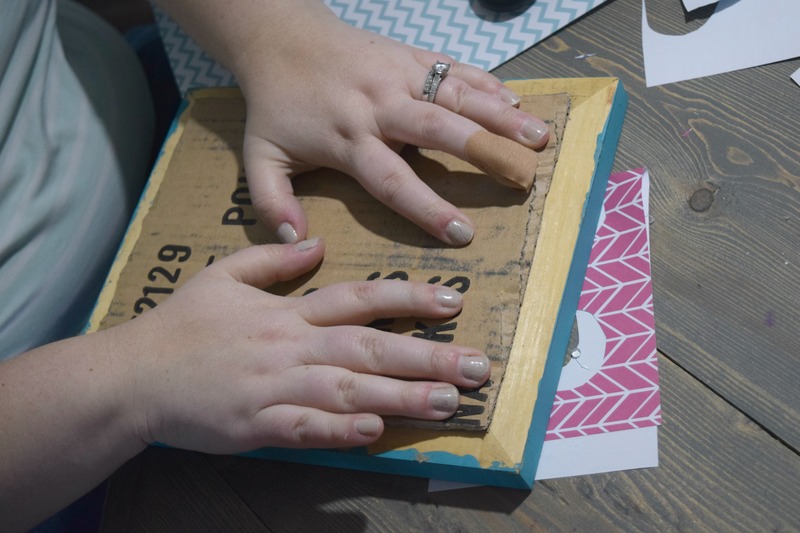 Yes, I used cardboard for the back of this DIY wall art. I measured the frame then cut the cardboard down to size. 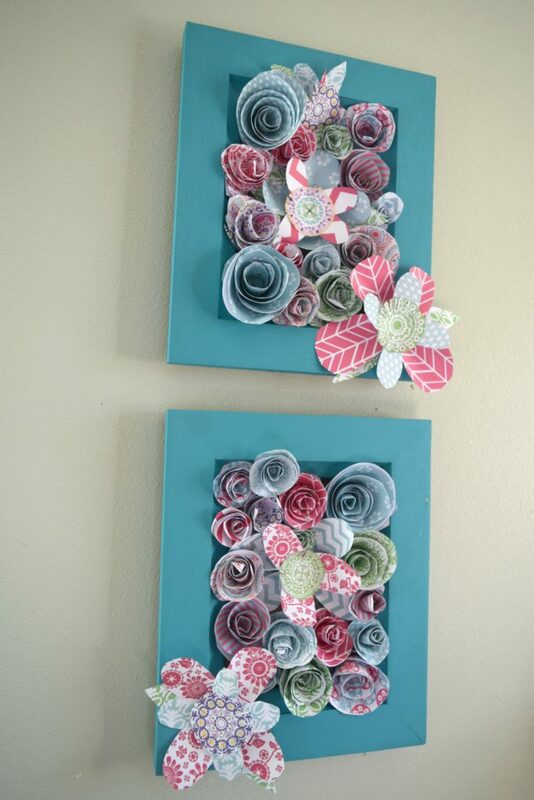 Using your hot glue gun (which you will need to make the paper flowers). Smush the back into the frame. Voila! Ignore my band aide finger. Fun fact, hot glue guns are hot and can give you second degree burn. Go figure. I am typing this without using my middle finger because of the lovely blister on it. I feel like I am back in elementary school and in computer class learning how to type. Remember when we all had to learn how to use a computer? My kids now know more than me with computers, they are born with it or something. Anyways, this is my public service announcement, be safe with hot glue guns, they are HOT!!! I now have frames! To attach these to the wall you can use standard picture hardware or heavy duty double sided tape, or attaching wire to the back and then hanging. It is up to you, just be sure to use my snazzy cardboard backing idea! Now for the fun part! This is the color scheme that Nora has requested and I am going to have the flowers be in these variances. 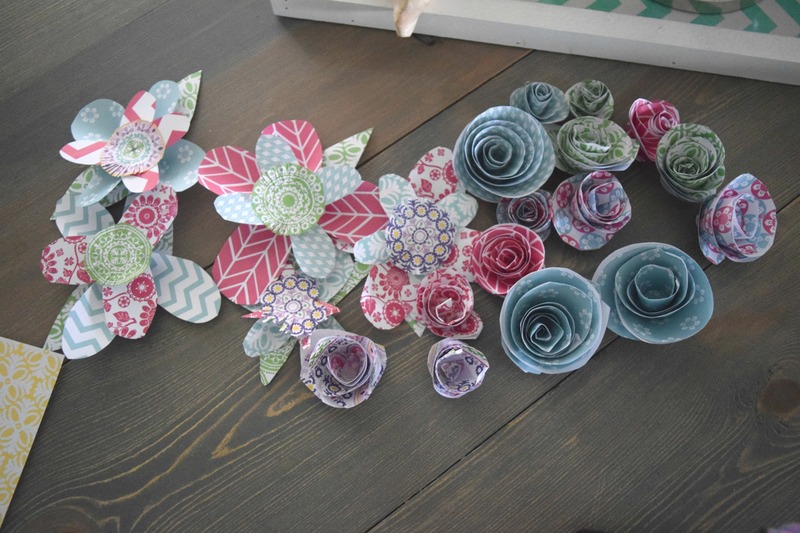 I am making a mix of the previously shared rose flowers and a new, made-up flower I came up with. Not sure what it looks like, lets call it an artistic interpretation of a flower. Whimsical! 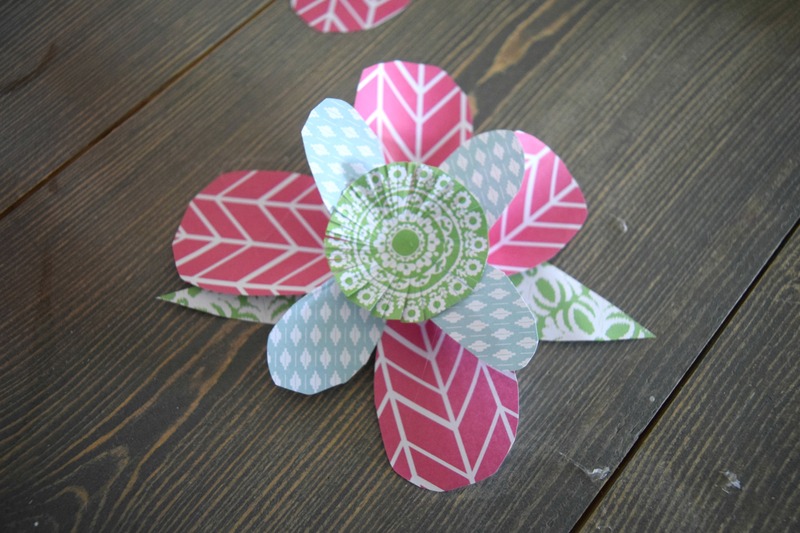 The flower is done in a few simple steps. 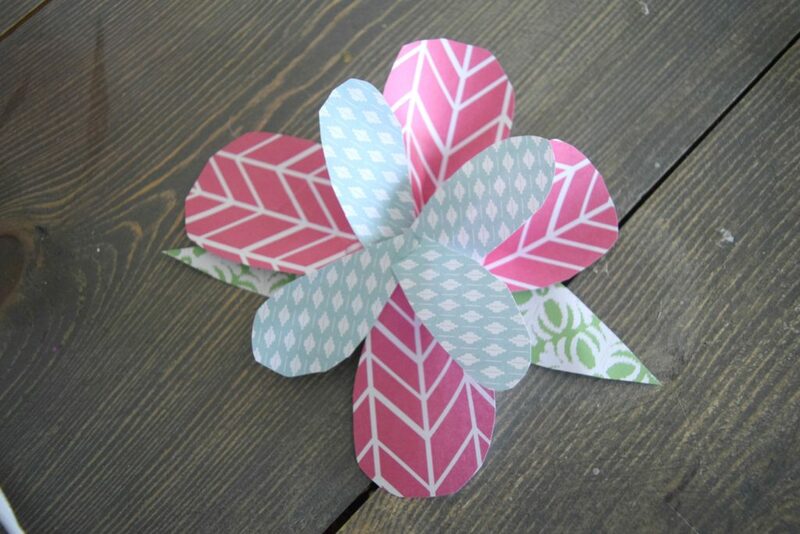 Determine the size flower you are going for and then cut out 4 petals. Cut a small line in the bottom center of the petals. 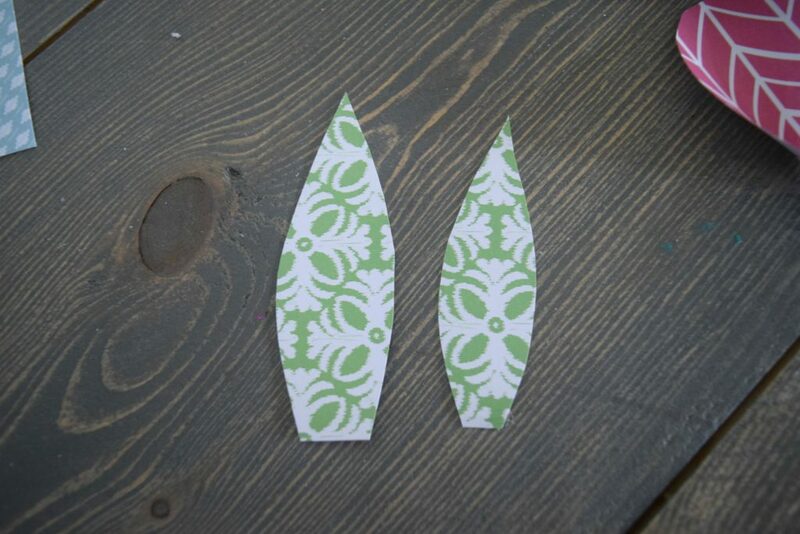 Use your hot glue gun to glue the two small cut edges together. This will give the petal a puckered 3-D look to it. The next petals needed should be a different color and pattern. If you are going with the same look as I did with bold patterns. The second set of petals should be smaller than the first. As you can see I was not too particular on having them be identical. Nature is not perfect so these flowers do not need to be either. 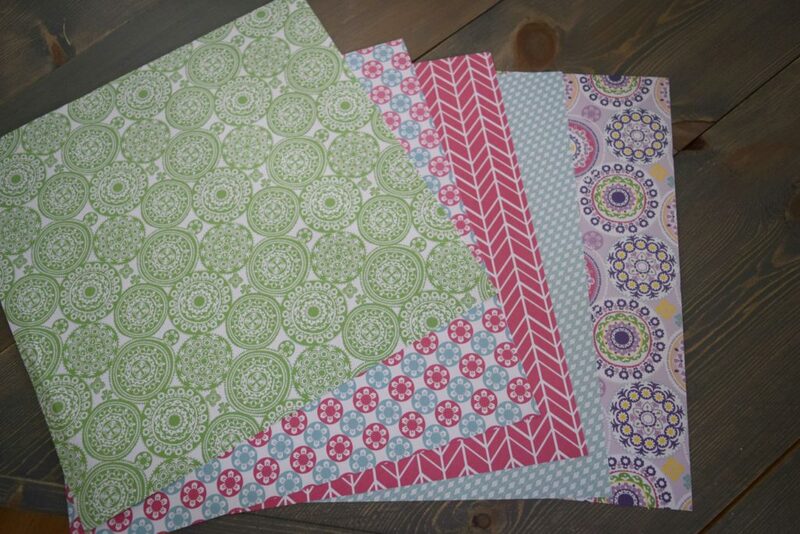 The paper I am using came from a book of craft paper purchased from Michaels craft store. It had this great paper with different circles in it. 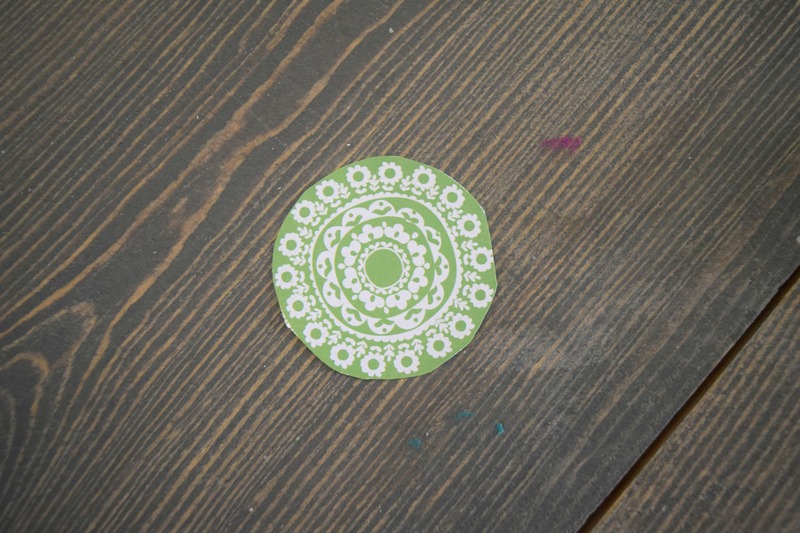 I cut one circle out. Go around the circle and cut the edge. As if you are making grass for the circle. Was I the only one that made grass like this for my art pictures as a kid? Doing this made my nature pictures look legit. With the flower pieces ready to go, now I know what size leaves I need. I cut out two leaves for this flower. Hot glue them together. Burn my finger be careful when using hot glue guns! 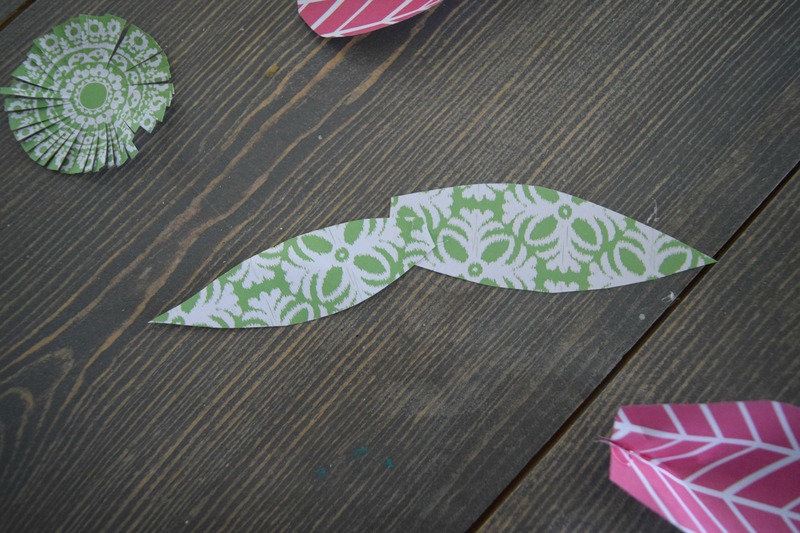 Then situate the largest flower petals on top of the leaves and glue them down. I staggered the second set of the petals. They are smaller and allow the larger petals to still be seen. 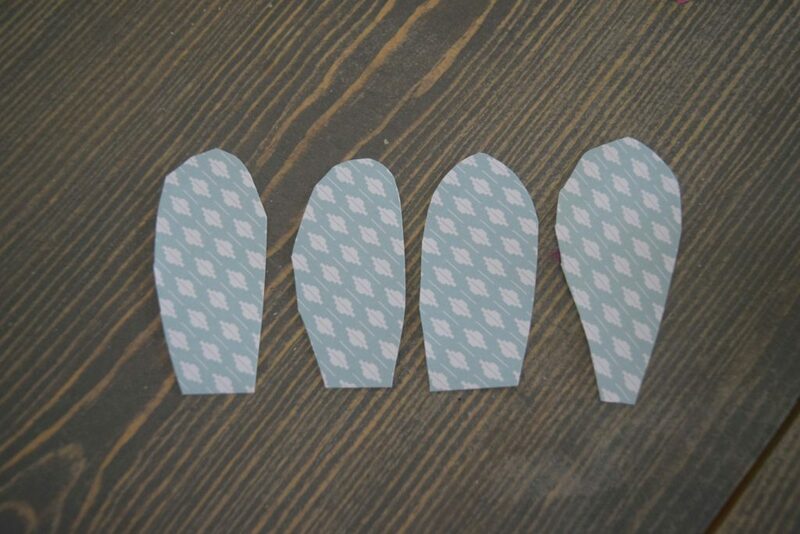 Lastly, put the center grass-like cut detail on the top. This gives a pretty detail and also hides any of the not-so-pretty aspects of the creation of the flower. Here is what I came up with! 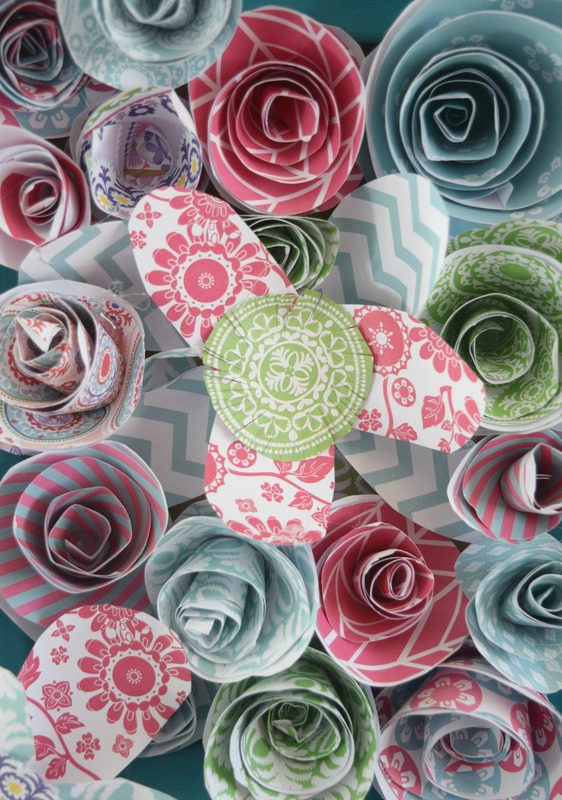 A bunch of whimsical, bright, bold and fun paper flowers. 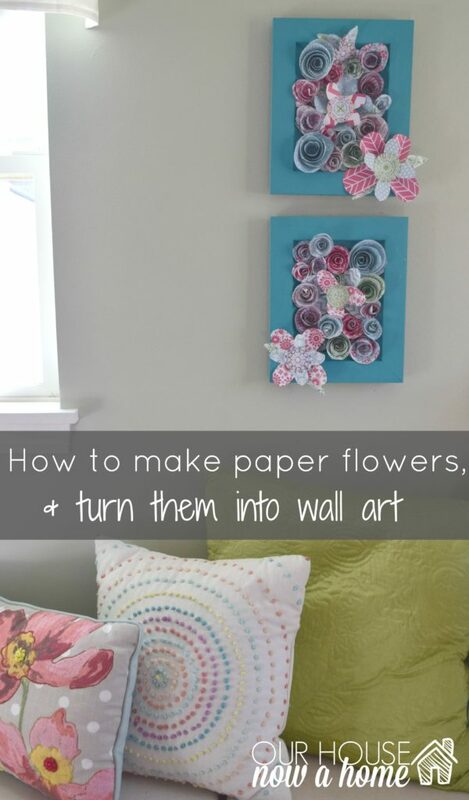 Here is where it all comes together for this How to make wall art using paper flowers, I have the flowers now I need to turn this into wall art. 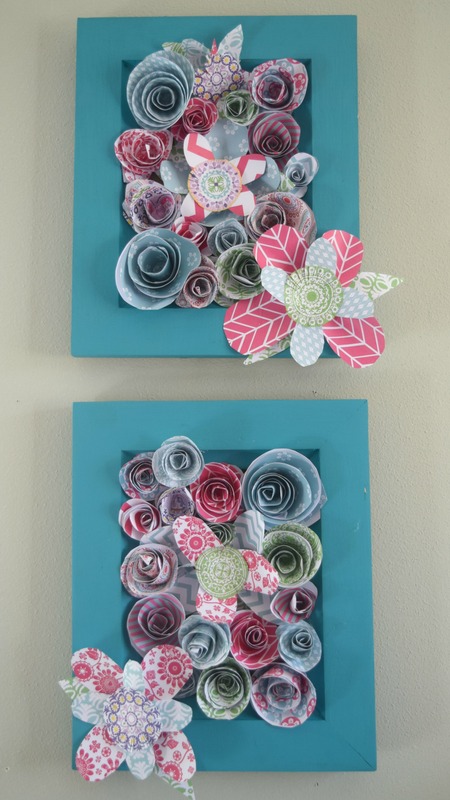 I glues down the larger flowers, using them as the base to this art. Then I began layering in the other small rose flowers. I was careful to not put too many of the same pattern, color, or size right next to each other. I was going for perfectly imperfect. I ended up having to make a few tiny flowers to fill in blank spaces. But overall the flowers covered the classy picture backing really well. 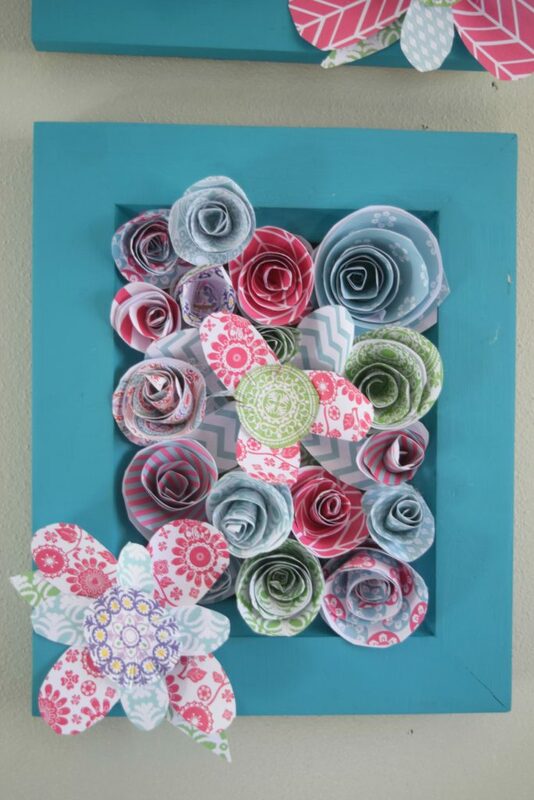 This paper flower wall art is done! 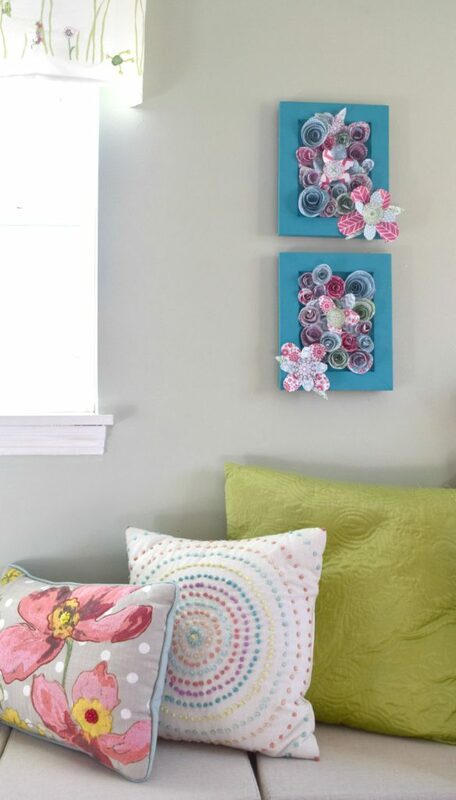 I adore the whimsical, fun and sweet look this adds to her room. In kid’s bedrooms you can go all out with bold patterns, loud colors and mixing it all together. With kids, the brighter the better. So have fun with it! 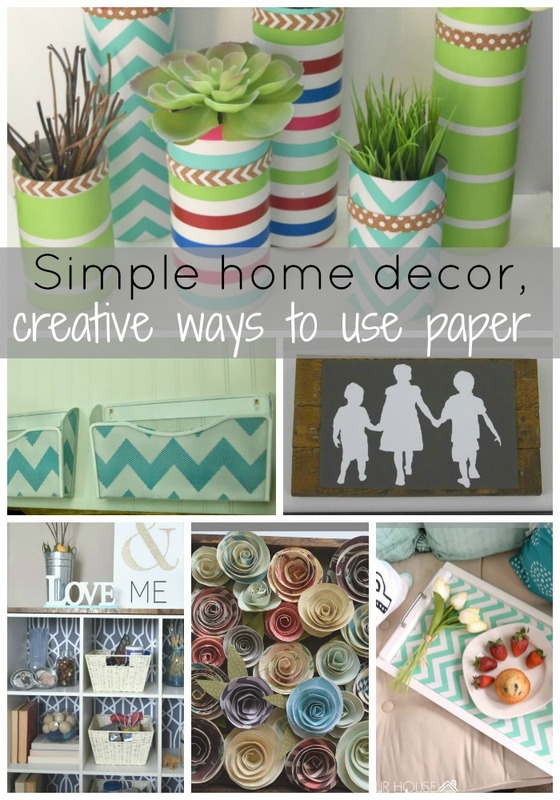 Using paper to decorate your home is such a low cost and simple idea. I am sure the ladies of the Ready, Set, Craft challenge have come up with amazing ideas! For now I have these two beauties of wall art over Nora’s window seat. They will be moved once her whole gallery wall is complete. I hope to have it all done soon, it is all designed and I had to order some prints for it. This project has been 100% driven by her and I have loved every second of working with Nora, hearing her ideas an letting her lead the way. This edition of the Ready, Set, Craft challenge , How to make wall art using paper flowers is done! The fun part is now you get to go and see what the other ladies of the challenge came up with. 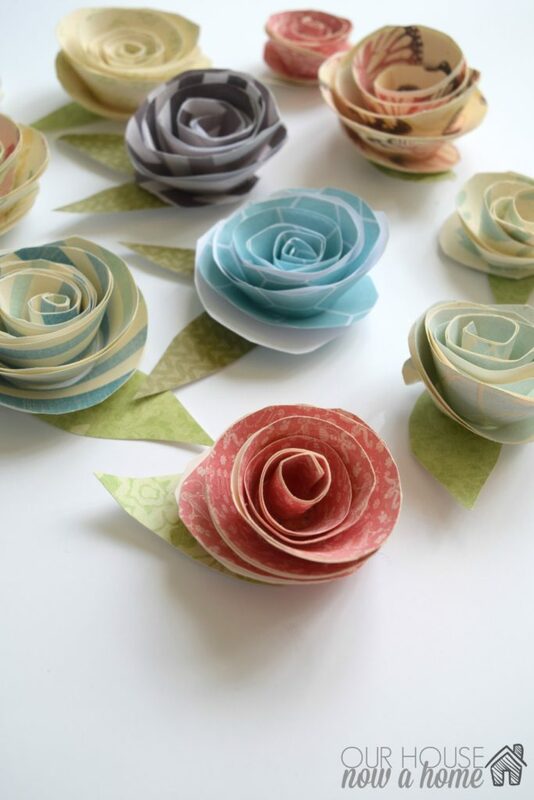 You also get to link up any paper crafts you have done! I want to see what else you talented people come up with. You are here reading for a reason, you love crafting and home decor too. I am sure you have some lovely creations as well. Shoe them off! Very pretty. I love the cushion with the circles too. 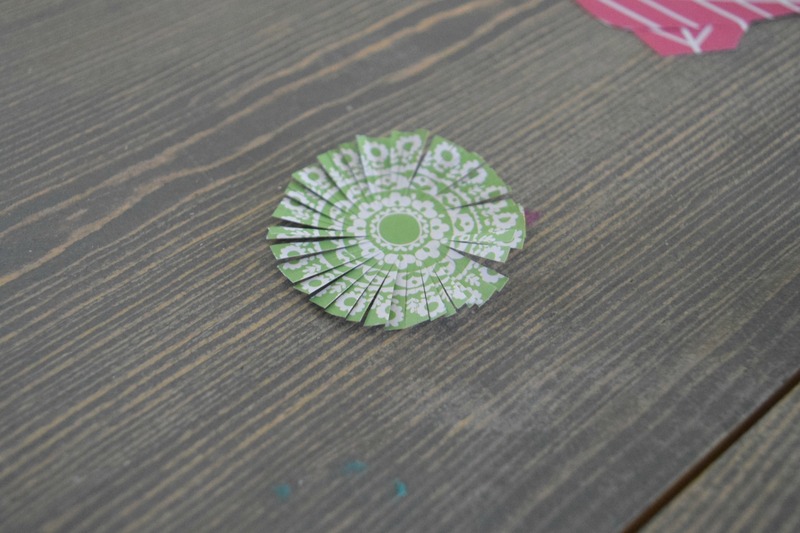 If you want, you can add some lacquer to the flowers to make it last longer. Good idea, thanks for the tip! These flowers are beautiful! I would love to surprise my daughter by adding these to her room. It turned out great. I like the color you used for the frame too. That’s a nice shade of blue. Thank you! Nora fell in love with the color blue and I also thought it was awesome. 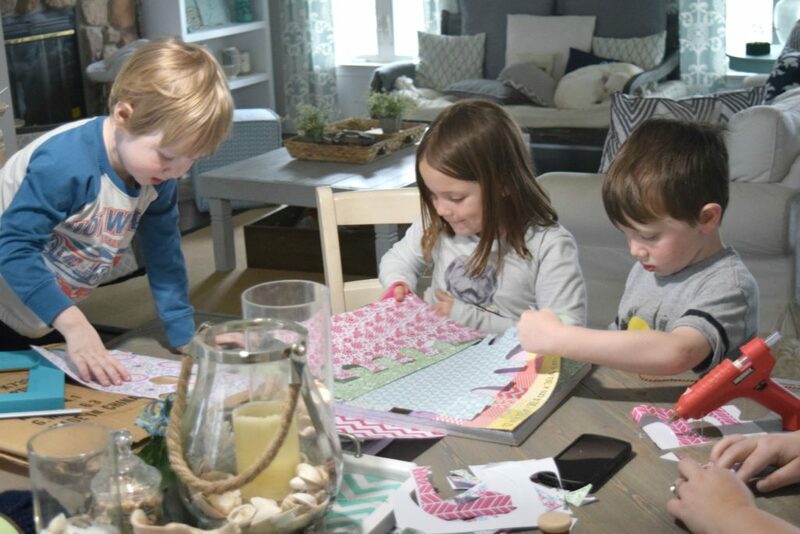 So creative, I love that your entire family could get involved in this craft! I also really like that blue! We craft all of the time together, it ios something they have grown up used to. 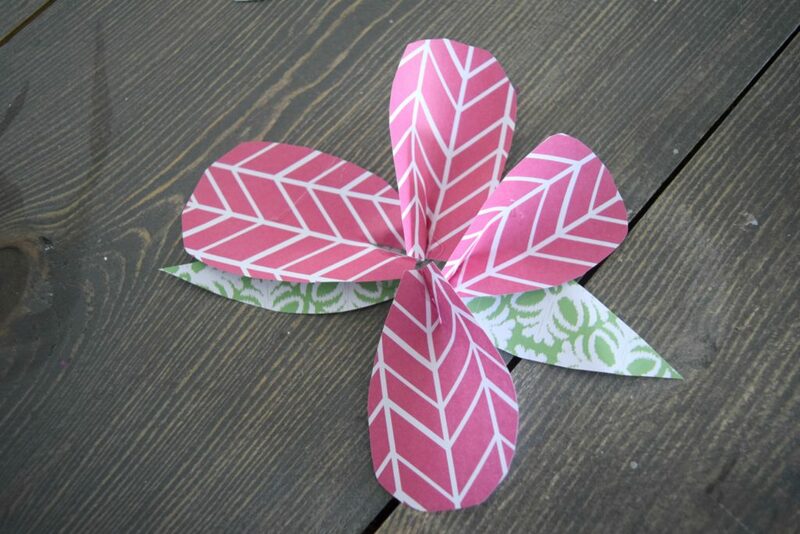 What a perfect Springtime craft. 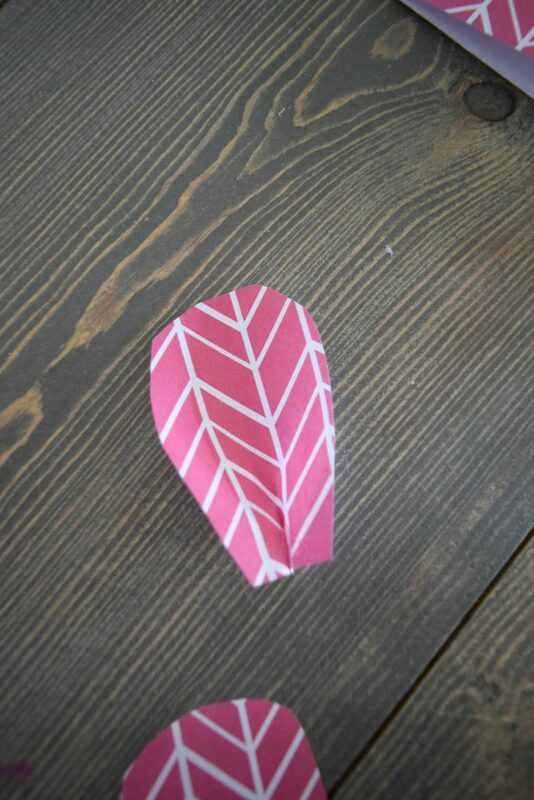 My youngest just started doing origami and this fits the theme nicely! This would be fun for your youngest to try! Wow, this is so neat. I have to get the boychild to do one with me. He loves projects. 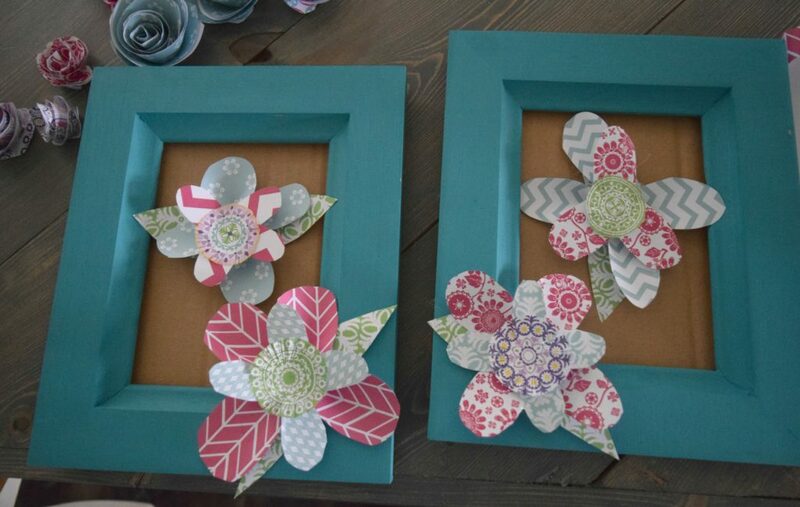 This is a fun craft to do with kids! Thanks for the support, have fun with your daughter making these!